OKLAHOMA CITY (Sept. 18, 2018) – A Yukon elementary school art educator whose alter-ego as the Caped Crusader earned her the nickname the “Batman Teacher” is Oklahoma’s 2019 Teacher of the Year. Becky Oglesby teaches Pre-K through third grade at Ranchwood Elementary School in Yukon Public Schools. State Superintendent of Public Instruction Joy Hofmeister made the announcement today in a ceremony at State Fair Park. Hofmeister said Oglesby’s creative teaching style, along with her optimism and passion for education, is a model of excellence for Oklahoma. Oglesby was a second-year teacher at Plaza Towers Elementary in 2013 when a deadly EF-5 tornado tore through the Moore school and claimed the lives of seven students. At the height of the storm, she used her body to shield her first-graders as the twister destroyed the school. The events of that day, she said, illustrate the dedication and compassion of Oklahoma’s teachers. Known in her school and community as the “Batman Teacher” for the abundance of comic-book memorabilia in her classroom, Oglesby identifies with ordinary people striving to do incredible things. In her art lessons, Oglesby incorporates core subject areas, provides the opportunity for students to express their uniqueness, emphasizes state academic standards and provides life lessons. Oglesby will remain in her classroom for the current school year. 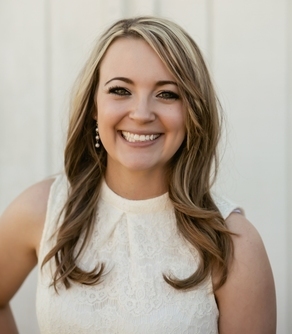 Beginning July 1, 2019, she will assume full-time Teacher of the Year duties, which include speaking engagements and serving as Oklahoma’s teacher ambassador, encouraging others to enter or remain in the profession. She will succeed 2018 Oklahoma Teacher of the Year Donna Gradel, an environmental science teacher from Broken Arrow High School, who will continue to tour the state until July. A panel of more than 20 judges selected the Oklahoma Teacher of the Year after extensive interviews with the 12 finalists, themselves district Teachers of Year from across the state. The Oklahoma Teacher of the Year program is organized by the Oklahoma State Department of Education (OSDE) in conjunction with the national competition.